I tried going to Search tools → All results, but I don't have the option dictionary. I should say that it does return one result but it used to return more than 10 and for words such as "heat" clearly there are going to be more than one definition. It seems to work from my home computer. Maybe this is a test/problem only affecting US users. 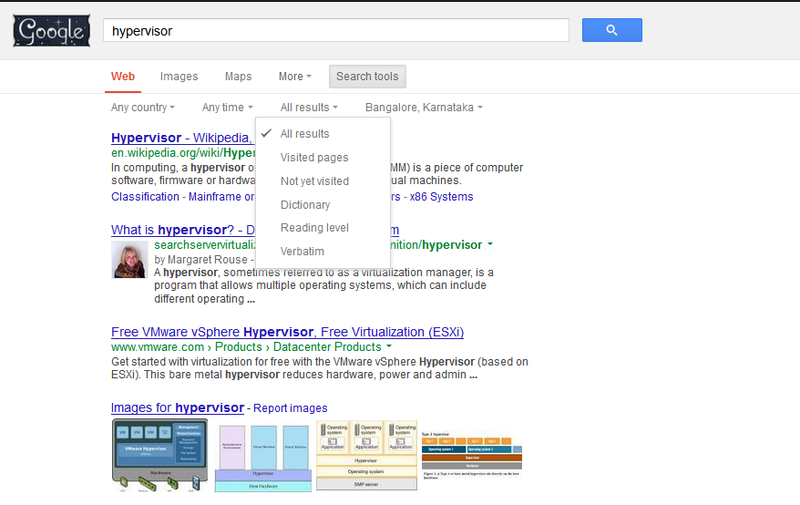 You can give hypervisor in the Search bar, then select Search Tools. 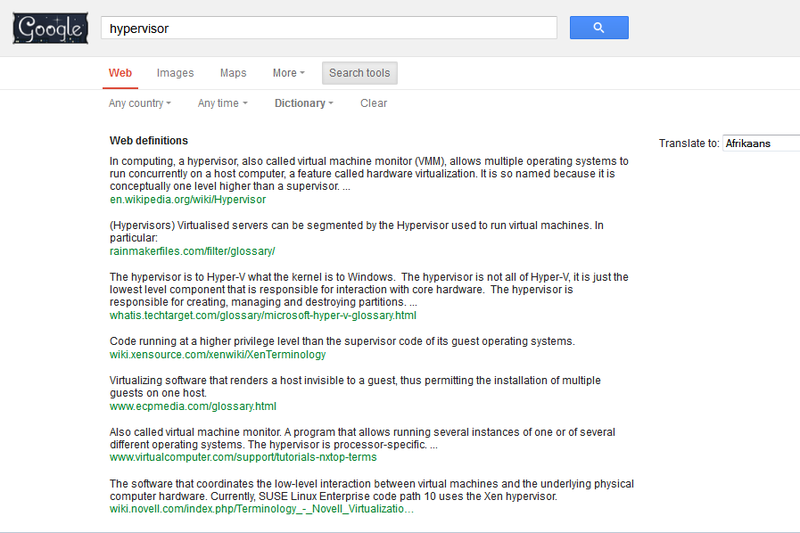 In that, change All results to Dictionary, then you get a neat list of web definitions. You can use define for searching any term in Google by using this syntax: define:abc. Here “abc” is a term. Not the answer you're looking for? Browse other questions tagged google-search google-dictionary or ask your own question. How often was this term googled? How do I use the search term +? Exclude Google results containing search term in title? 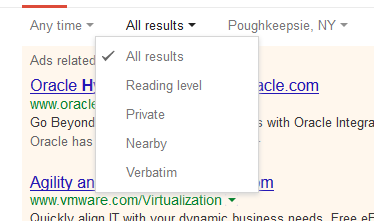 Why does a search term with an ampersand get truncated? Is there a better way to get a search engine to return more relevance?